K Chandrashekar Rao has appointed his son, KT Rama Rao, his party's working president. 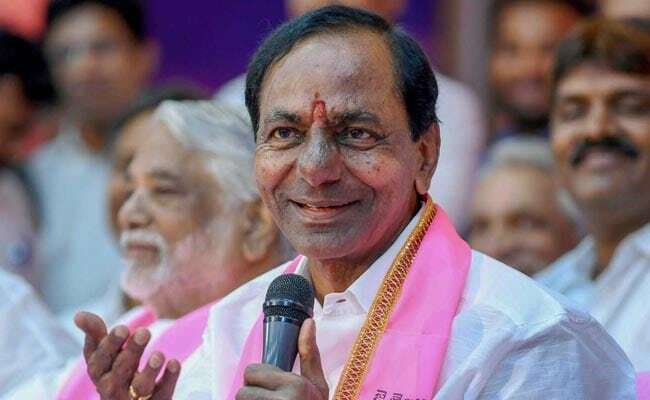 Back in the Chief Minister's seat in Telangana with a sweeping majority, K Chandrasekhar Rao is ready to focus on the next big project - a non-Congress, non-BJP Federal Front. KCR, as the Chief Minister is popularly known, has already laid the groundwork, holding meetings with various regional leaders including Mamata Banerjee and M.K.Stalin. "We can have a Coordination Committee of important regional leaders, which will lead this Front," said his party's senior leader and Lok Sabha member B Vinod Kumar. A day after taking oath, Mr Rao appointed his son, KT Rama Rao, the working president of his party, the Telangana Rashtra Samithi, or the TRS. The move was meant to clarify the internal hierarchy of the party, so the Chief Minister could focus on carving out a national role - a promise he had made after Friday's oath ceremony. The Federal Front -- where YSR Congress could take the space of a facilitator, like Chandrababu Naidu in the proposed Grand Alliance -- has got the backing of Bengal Chief Minister and Trinamool Congress chief Mamata Banerjee, whom KCR met in March this year. Ms Banerjee is interested in forming an alliance of regional parties to leverage better bargaining power with the Congress, sources said. Such an alliance is crucial now when the Congress is in a position to claim a central role in the opposition front after its victory against the BJP on straight fights with the BJP in three heartland states of Chhattisgarh, Rajasthan and Madhya Pradesh. Her idea has the support of several regional leaders, including Aam Aadmi Party chief Arvind Kejriwal, Mayawati and Chandrababu Naidu, who has also taken on the task of crafting a united front to take on the BJP next year, party sources said. DMK chief MK Stalin's yesterday's proposal about Rahul Gandhi being the united opposition's Prime Ministerial candidate, is expected to make the KCR-proposed model a preferred alternative for Mamta Banerjee and ambitious leaders. KCR -- who has been dubbed "Chhota Modi" (miniature Modi) by the Congress -- has been working hard to shed the pro-BJP tag by cultivating a secular image. In a pointed exercise in optics, he has criticized Prime Minister Narendra Modi, junked the central health scheme and had party leader Mohammad Mahmood Ali take oath along with him on Friday. He has also roped in Asaduddin Owaisi, whose AIMIM he once tagged a "friendly party", for work on the Federal Front.